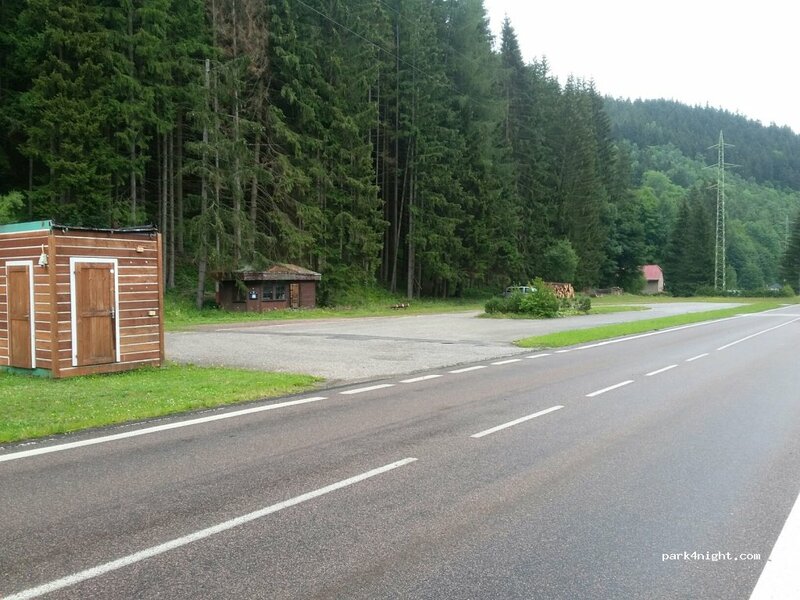 Gratuit, parking en bord de route à 5km du téléphérique pour le mont Sniejka. Nous y avons passé 2 nuits au calme et sans problème. 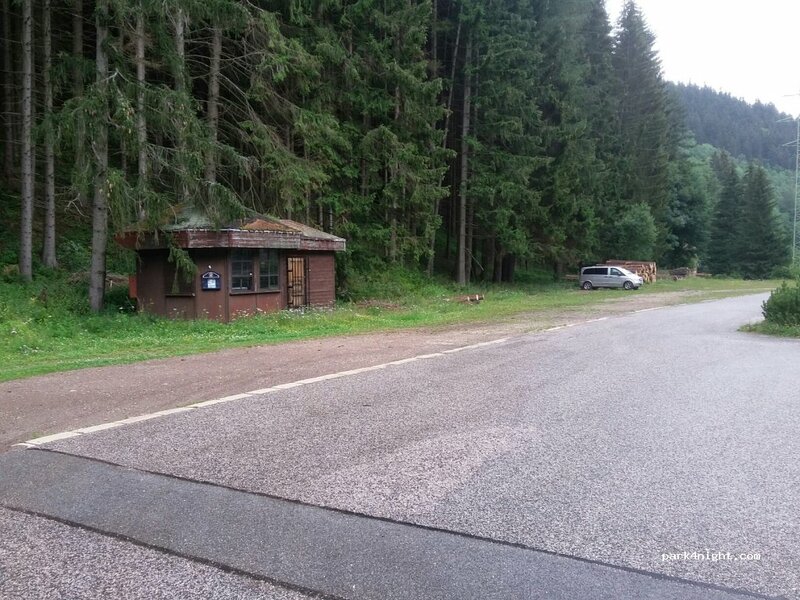 Free, roadside parking 5km from the cable car to Mount Sniejka. We stayed here for 2 nights, quiet and trouble free. No service, very calm, spacious for big caravans. Free of charge. Parking is free and is near to city Pec pod Snezkou. Simple apartadero de la carretera pero muy práctico para dormir y poder llegar pronto por la mañana al parking del inicio de la excursión al Snezka. Tranquilo. Very good parking for one or a few nights. Nearby ski area. Parking with nice mountain view. no problem for vans up to 6 m long. 6 lots on a big parking area on the border mountain pass. Great view, friendly staff!